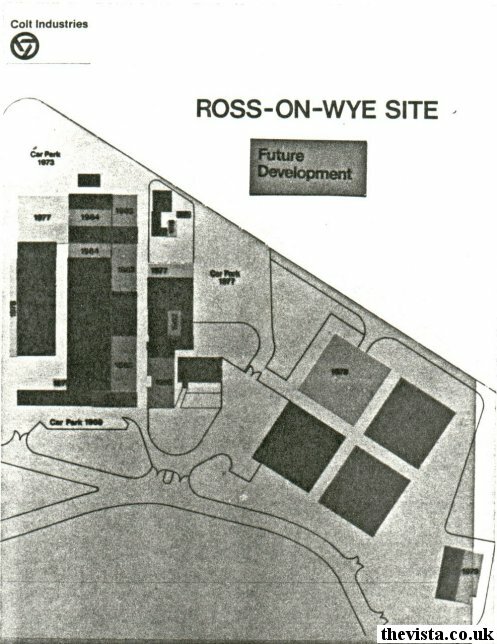 Woodville planned for the future which was made perfectly clear by the fact that in 1979 they had ambitious plans for two more factory units to be built at the Ross site, the factory plan below shows the location and proposed size of the buildings, and had they been built, would have represented a tremendous growth. The land on which the units were to be built was, once again, owned by the company and this was an important factor when considering the price of land at the time and the company still had plenty more land on which to expand. The two planned units were of the same style as the two pervious additions. At 1979 prices the buildings would cost about £150,000 to build but to fully equip could cost up to £500,000 particularly as the sophisticated machinery needed to produce technical products was ever increasing. As more technical machinery became available Woodville's management team were fully aware that to keep up with it's competitors it was essential to invest in this equipment even though the cost might be extremely high. 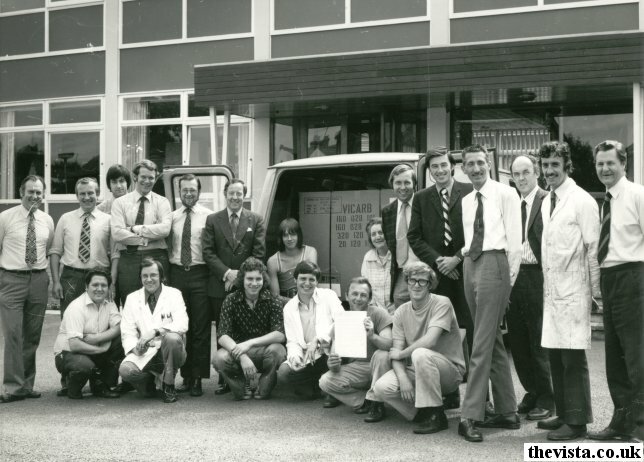 In the years prior to 1979 the the arrival of such equipment was often seen. One of the first was a Fogg and Young press, which was installed in July of 1977. The press is capable of exerting 800 tons of pressure. The press is constructed of 4 x 3" steel frames. The press had the capacity to hold a mould measuring 106 x 65" and was installed to produce heat exchanger gaskets which were used primarily in the milk and food bottling industries. The press was powered by a fifty horsepower pump and the press had a total weight in excess of 38 tons. The press which was, at the time, the largest ever seen at the factory, caused quite a few problems for the engineers who had to install it. The press arrived on a low loader and shortly after unloading the press sunk a foot into the tarmac where it had been off-loaded. The next problem encountered was how to get the press into the specially prepared concrete hole which would act as its mounting. This manoeuvre entailed lifting the service pipes, which supplied the presses with steam for heat, so that the press could be squeezed underneath. This was achieved with the help of a crane which safely guided the press into its position. This was the first in a new age of bigger and better equipment which was arriving at the company, but more sophisticated equipment was being installed as necessary. The newest bay, built in 1979, was equipped with some of the very latest in moulding equipment. These presses cost more than £30,000 each, but it was envisaged that these would soon be paid for by the firm which rates as the most profitable in the Colt Industries Organisation. Many thanks to Stan Wheeler and Martin James for helping to fill in the gaps. Also thanks to Gary Minton, Stan Wheeler and Davina for supplying additional details.